BBQ Gas Grill For Any Outdoor Kitchen Grill Island - Immortalize Your Grilling! 5-Burner Rotisserie Kit: Select for Options Yes, Add Rotisserie! (+$109.99) No Rotisserie, Thank You! 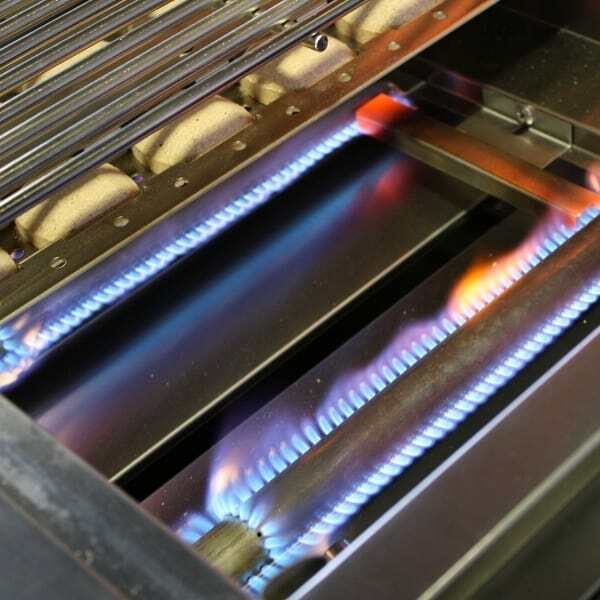 Infrared Sear Burner Add-On: Select for Options Yes, Add Sear Burner! 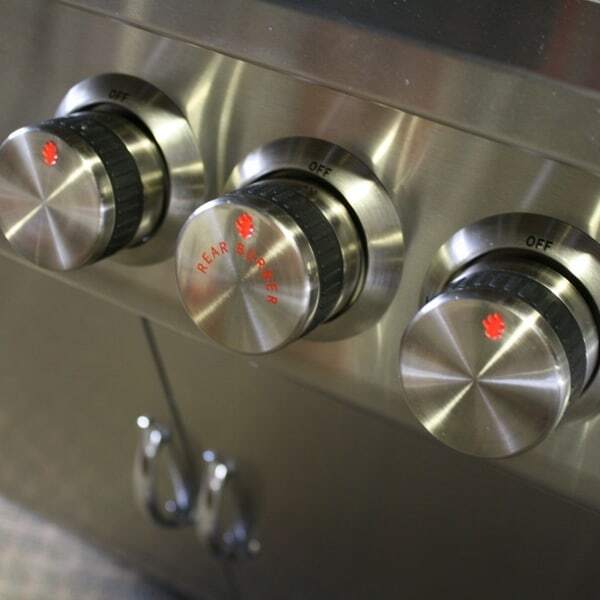 (+$79.99) No Sear Burner, Thank You! Vertical Single Access Door: Select for Options Yes, Add Fuel Access Door! (+$119.99) No Access Door, Thanks! Refined power. Sophisticated muscle. Distinguished strength. 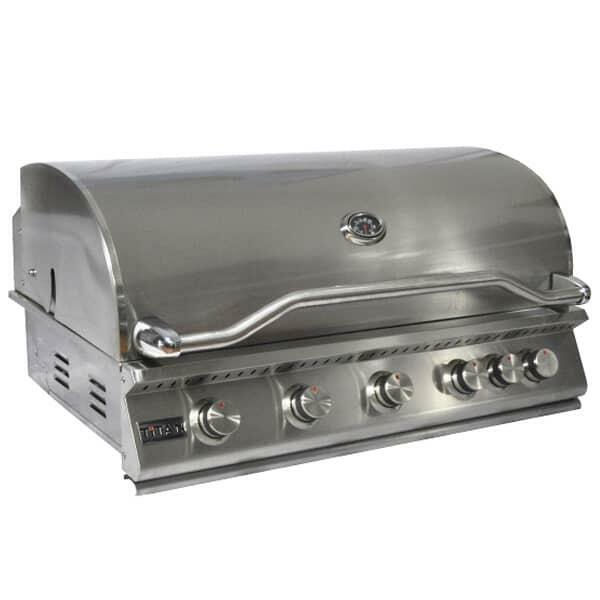 The 5 Burner Grill Head from Titan effectively mixes brute cooking force with tasteful style unlike any other gas grill on the market. 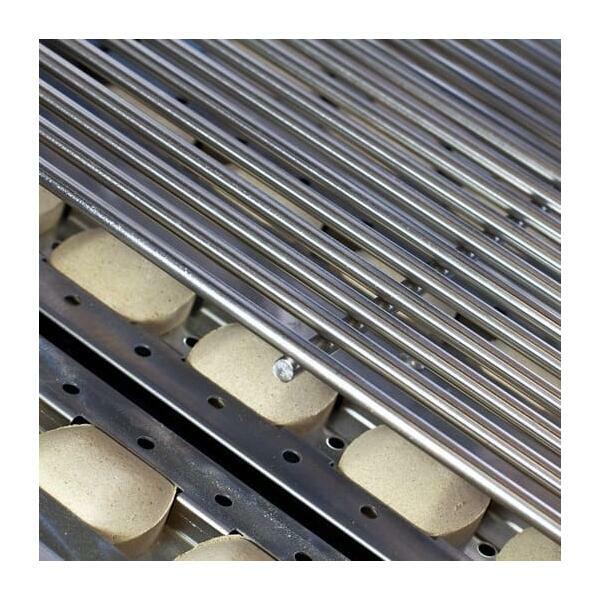 It starts with the materials, including commercial-quality 304 stainless steel. The curved hood and body showcase edges polished for a sparkling look. 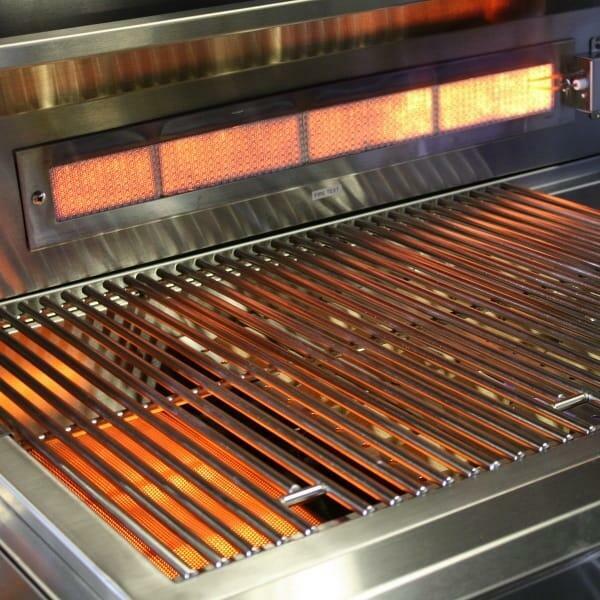 You can expect this brilliant appearance in all of Titan's grills. But this model separates itself from others when it comes to cooking power and space. 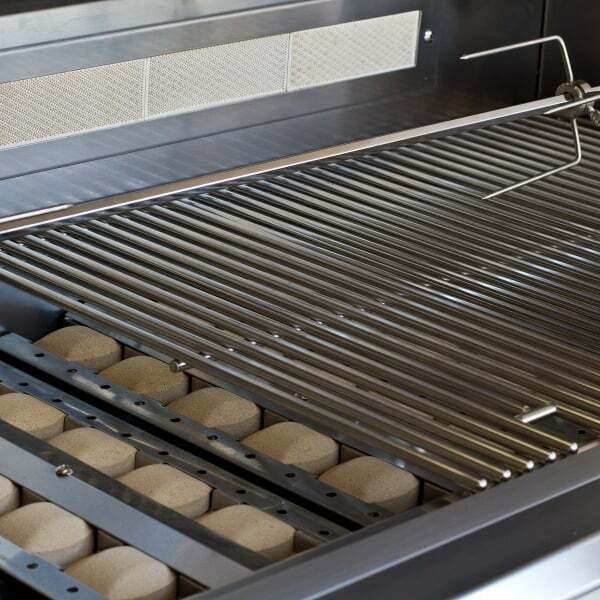 It's one of Titan's larger gas BBQ grill heads with 940 square inches of total cooking area (grill and warming rack combined). 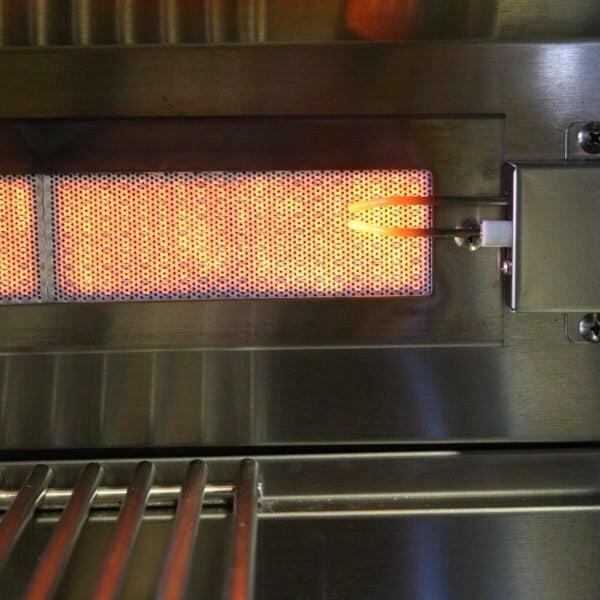 There's five stainless steel tube burners made to commercial standards, producing an impressive 60,000 BTUs of cooking power, along with an included infrared rear burner that generates an additional 10,000 BTUs. Its restaurant-sized cooking power, but in your backyard. 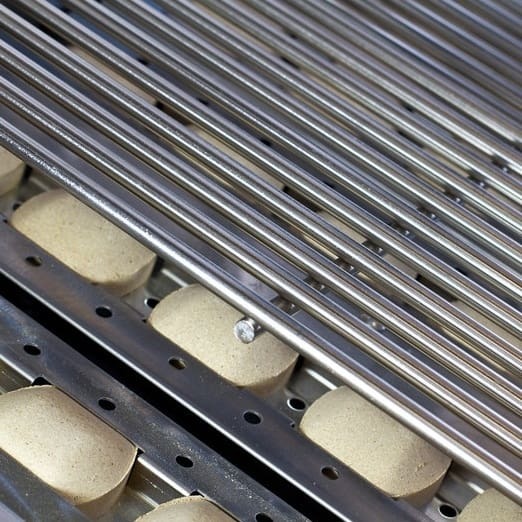 And the briquette cooking system adds precision, allowing for a faster heat up time while eliminating hot spots. So drop a grill head with authority into your grill island with the 5 Burner Grill Head from Titan and Family Leisure! Cutout Dimensions: 38.625" x 8.5" x 21.25"
Grilling Space: 730 Sq. In. 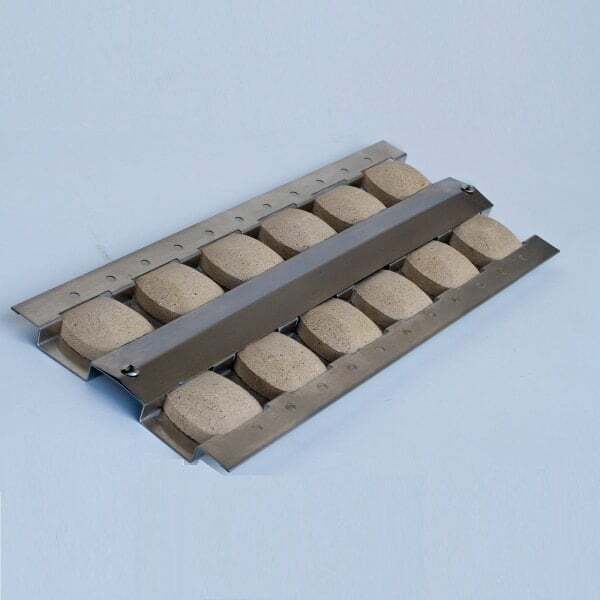 / Warming Rack: 215 Sq. In. Total Cooking Area 945" Sq. In.